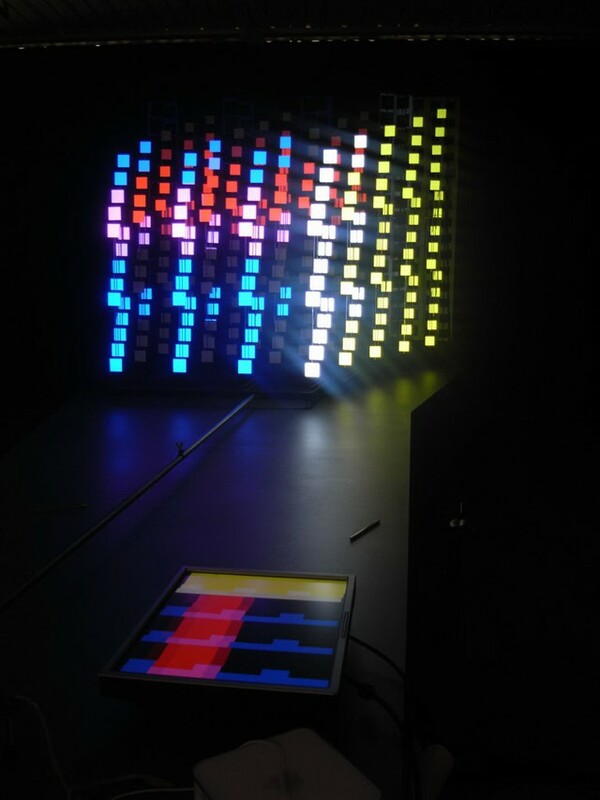 Marnix 2000, the world’s first interactive RGB media façade. In 1999, the BBL-ING headquarters in Brussels were converted into a monumental interactive screen. The project, designed by magic monkey, was open to everyone. 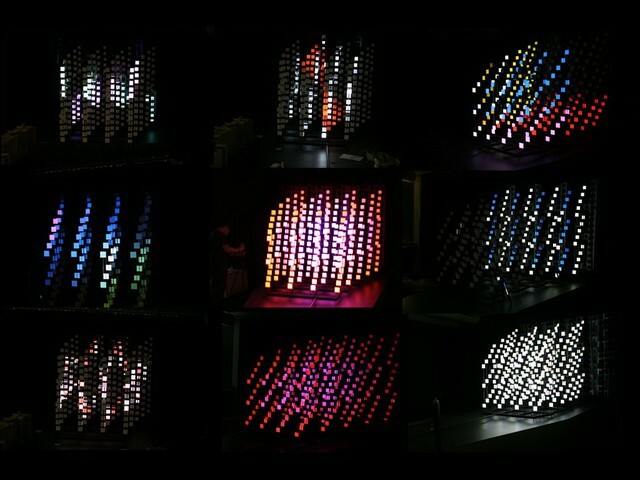 In 1999, magic monkey converted the façade of the BBL–ING Marnix building into a giant light &amp; video display by transforming every window into a big RGB pixel. The magnificent modernist building, designed by Gordon Bunshaft of Skidmore, Owings and Merrill in the early 60s, was an absolute inspiration to the magic monkey lighting design team. 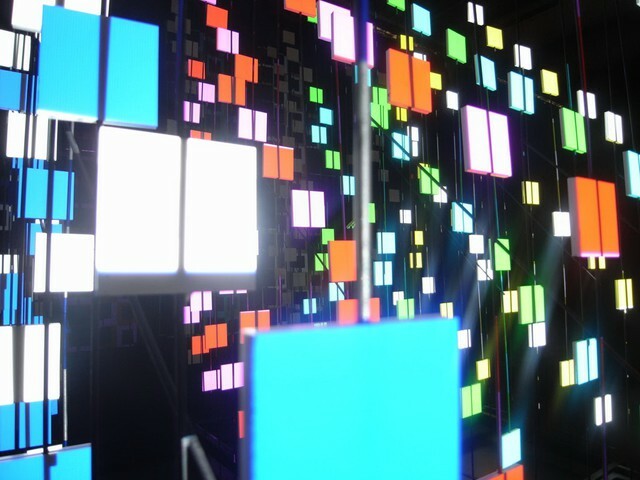 The 7 stories by 52 windows façade was transformed into a 364 pixel interactive matrix, sweeping people’s imagination into the future to celebrate the new Millennium. Everyone was welcome to participate and create their own animations by downloading a free animation interface from the burgeoning web, remember dial-in connections… As soon as a new animation was uploaded, participants would receive an email thanking them for their participation and indicating when their animation would play on the building. From nervous wedding requests to daring political messages, people shared their visions from all over the world on a true monumental scale! Facade type and geometry (structure) : Listed modernist masterpiece by Gordon Bunshaft of S.O.M. Exposed structure, double façade building built in the early 60s. 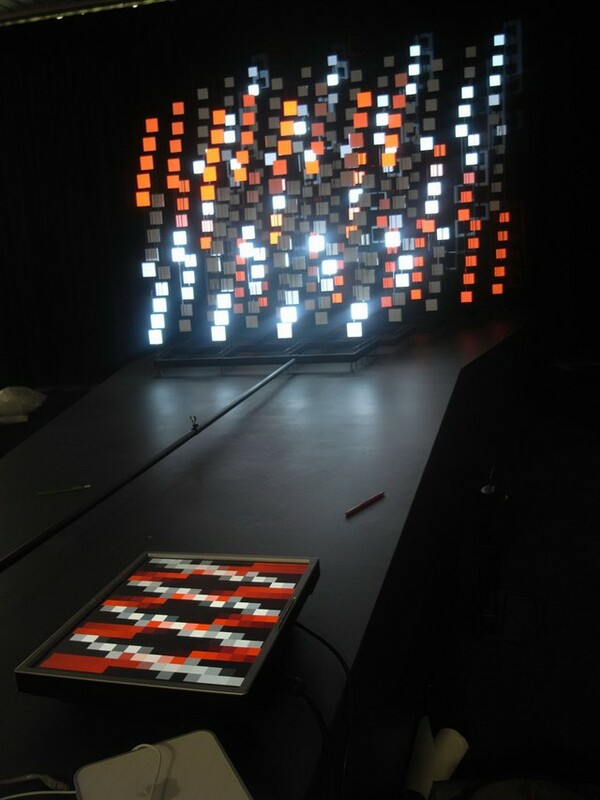 Kind of light creation : 3 RGB light projectors placed within each window alcove creating a matrix of 7 pixels high by 52 pixels wide, a 364 pixel monumental video matrix for the new Millennium! And open to all via a web based interface. 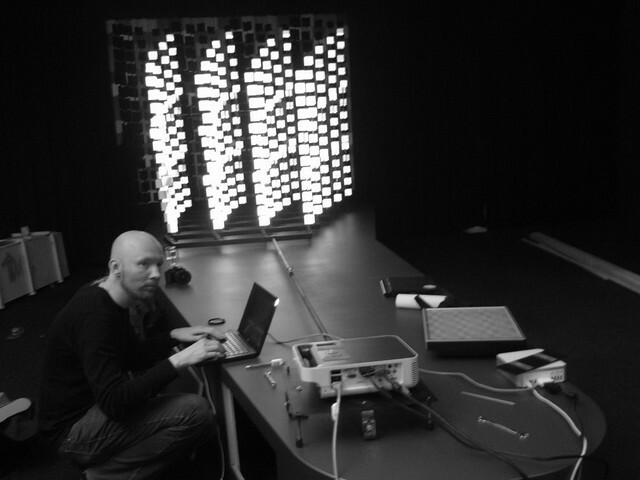 Resolution and transmitting behaviour : 364 RGB pixels data linked. Urban situation : at the heart of Brussels, along it’s inner ring, across from the King’s Palace.